We say: It is interesting that another large hospital systems says a simple custom badge holder works just as well according to one of our dealers. Personal accountibility and trust still count for something. 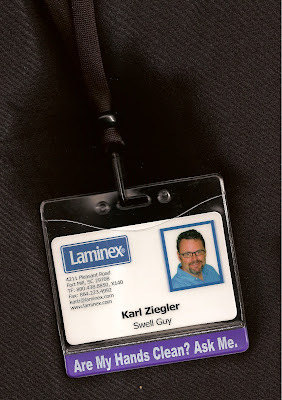 Our all new CredentialExpress web site is up. We know you will enjoy the functionality with easy access to price lists and our PDF catalogs as well as the eye candy. Several more useful features are coming soon, so check back now and again. 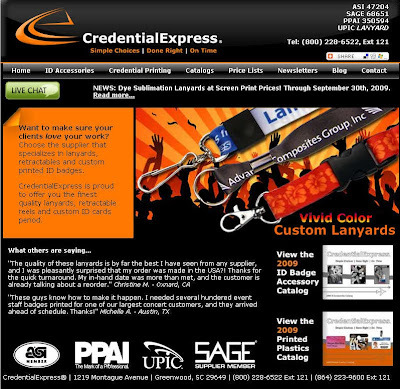 PS: Don't forget that Dye Sublimation Lanyards at Silk Screen Prices are available through September 30, 2009!